Since his arrival in India in 1959 and subsequent move to temporary living quarters at the old Rumtek Monastery, the Gyalwa Karmapa had devoted his energy to helping all people develop peace and compassion by following the path of Buddha's teachings. He also began plans to build his seat-in-exile, a place from which the dharma would spread. Here, under his supervision, tulkus and monks would live and work to perpetuate their traditions of Buddhist practice and study for the benefit of all sentient beings. By bestowing the complete Karma Kagyu initiations and reading transmissions to numerous Rinpoches and lamas, continuing an unbroken oral tradition passed on from teacher to student, the Karmapa could insure the survival of the great practice lineage. His Majesty Chogyal Tashi Namgyal generously donated land for the construction of the Dharma Chakra Centre monastery complex. Perched on a foothill of the great Himalayas, the site possessed many natural attributes considered auspicious for the placement of a monastery: seven streams flowing toward it, seven hills facing it, a mountain behind it, snow mountains in front of it, and a river spiralling in the shape of a conch shell below. The location is remote and peaceful, twenty-four kilometers from Gangtok, the capital of Sikkim, and close to the old Rumtek Monastery. Rumtek Dharma Chakra Centre was designed by the Sixteenth Karmapa and his general secretary, Damchoe Yongdu, who would oversee the construction under the Karmapa's direction. The design was drawn solely from the Karmapa's inspiration and memory. Some of the features were modelled after Tsurphu Monastery, the seat of the Karmapas in Tibet. 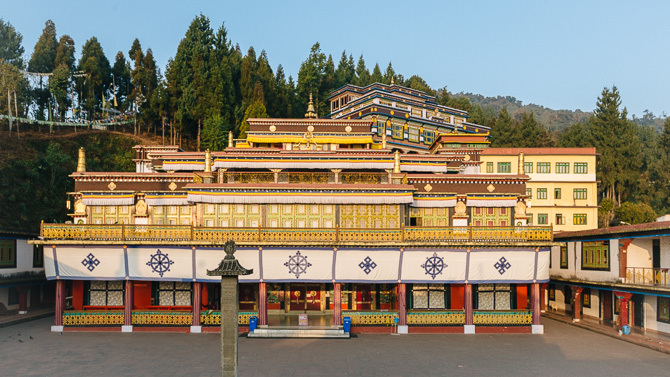 The new, four-story monastery was planned to embody the ancient artistic tradition of Tibetan architecture while incorporating modern building materials like steel and concrete. The traditional techniques of carving and painting would be employed to decorate the building. Funding for the construction came mainly from the personal resources of the Sixteenth Karmapa with additional generous help from the Sikkimese chogyal and individual donors. In 1961, after the Karmapa met with His Excellency the Prime Minister of India, Shri Pandit Jawaharlal Nehru, to discuss the monastery plans, the Indian government pledged its financial and legal assistance. Before the foundation stone was laid, special pujas were held for almost one month. At the end of all the ceremonies, the Karmapa explained that he had consecrated the surrounding area as the mandala of Chakrasamvara, one of the highest deities of tantric Buddhism. In 1961, General Secretary Yongdu, along with a volunteer crew of over 100 monks and lay followers (including those who had escaped from Tibet with the Karmapa), started work on the formidable task of clearing the jungle-like, mountain terrain so building could begin. His Holiness the Sixteenth Gyalwa Karmapa and Chogyal Palden Thondup Namgyal laid the foundation stone for Rumtek Monastery at a ceremony in 1962, which many dignitaries attended. Construction on the complex then began in earnest, though hardships were many. The remote area had no trained builders, craftsmen, or masons. Housing was non-existent. Until a road was built, supplies were carried up steep paths on the backs of the workers and their animals. Delivery of equipment was arduous; ordering building supplies complex. During the rainy season, working conditions were dangerous. 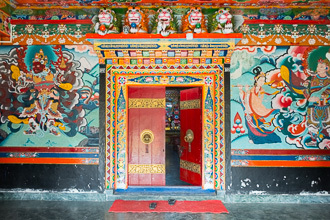 Despite these obstacles, the crew, augmented by disciples from all over Sikkim and around the world, worked hard for six years to build the monastery. Once the building was finished, special attention was given to its decoration and painting. 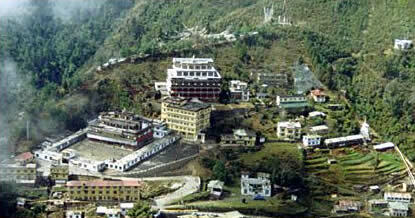 In 1966, Rumtek Monastery was completed and the relics brought from Tsurphu were installed. 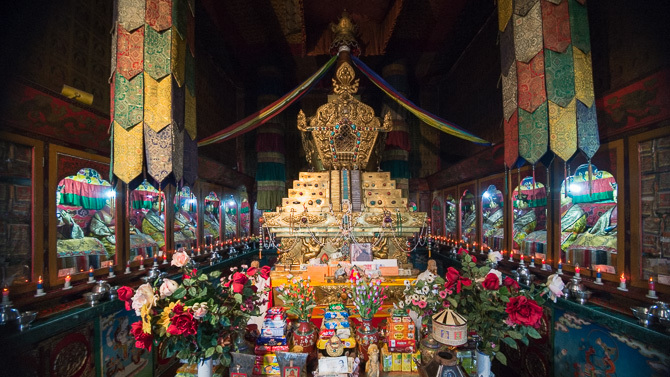 At a grand ceremony on Losar, the Tibetan New Year, the Gyalwa Karmapa officially opened his new seat, Pal-Karmapa-Densa-Shed-Drup-Chos-Khor-Ling, 'The Seat of His Holiness the Gyalwa Karmapa: a Centre for the Teaching and Practice of the Dharma'. His Holiness Karmapa has said that everyone involved in building the monastery benefitted tremendously through the accumulation of great merit. Rumtek Dharma Chakra Centre, the mandala of His Holiness, became a sacred destination for Buddhist pilgrims as scores of visitors sought the blessing of the Karmapa. From his new seat, the Karmapa continued his unceasing activity to preserve the Buddhadharma and spread the teachings throughout the world. He reinstituted the monastic practices, prayers, and rituals at Rumtek Monastery according to the Tsurphu calendar, ordained thousands of monks, recognized many tulkus, and gave initiations to thousands of practitioners. He commissioned the printing of 500 full sets of the Kangyur (the complete teachings of the Buddha that comprise 103 volumes) and the Tengyur (200 volumes of the translated Indian commentaries on the teachings), and presented 170 sets as gifts to institutions of all five sects of Tibetan Buddhism, including Bon. During this time, the Karmapa also established many Kagyu centers worldwide to give people of all cultures the opportunity to benefit from the wisdom and insight of the teachings through study and practice, and to keep the Karma Kagyu tradition intact throughout the Tibetan diaspora and the rest of the world. a renovation of the monks' quarters, kitchen, and dining hall. 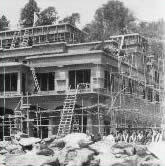 Though His Holiness the Sixteenth Gyalwa Karmapa set the plan for Rumtek Dharma Chakra Centre in motion, he did not live to see it completed. The Karmapa passed into parinirvana in 1981 in the United States. His body was returned to Rumtek and cremated in an elaborate religious ceremony attended by eminent Rinpoches of the lineage, representatives of the governments of Sikkim, India, and Bhutan, and devoted followers from around the world. 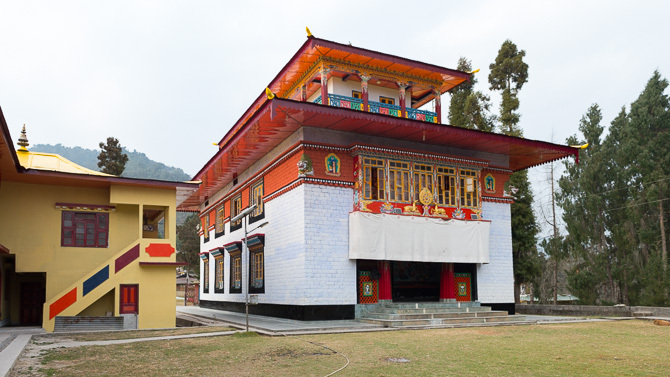 Today, the monastic complex at Rumtek is part of the legacy of the Sixteenth Karmapa and the Karma Kagyu lineage, and serves as a living example of the Karmapa's vision and lifelong dedication to the dharma.